Once a small enterprise, the Peters’ food empire has grown to $40 million in annual sales. Phil Peters wasn’t planning on joining the family business. With a degree in architecture from the University of Detroit Mercy, his plan was to design buildings. Instead, he joined his father, uncles, and siblings as part of the growing breakfast meat empire the family is building in Eastern Market. 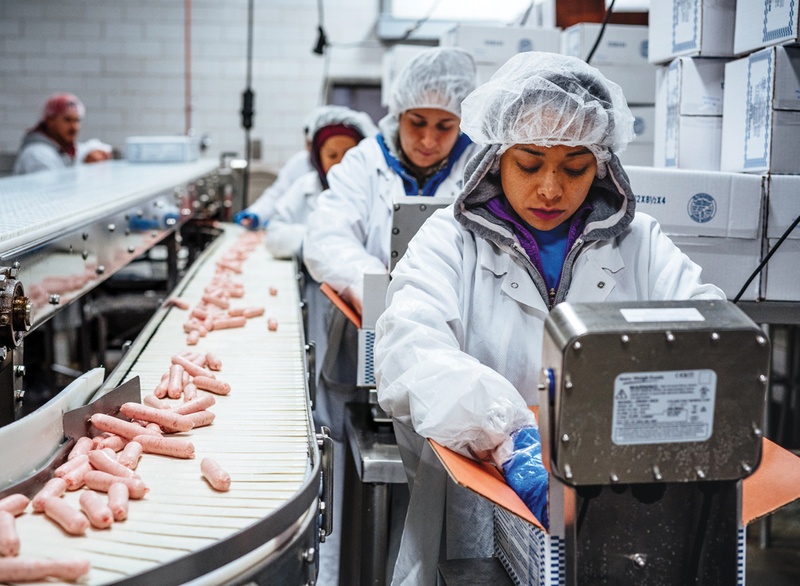 Since then, Detroit Sausage Co., located on the north side of Eastern Market, has grown, making hundreds of thousands of pounds of sausage and serving restaurants nationwide. In addition to breakfast sausage, they also make chorizo, Italian sausage, and chicken sausage. 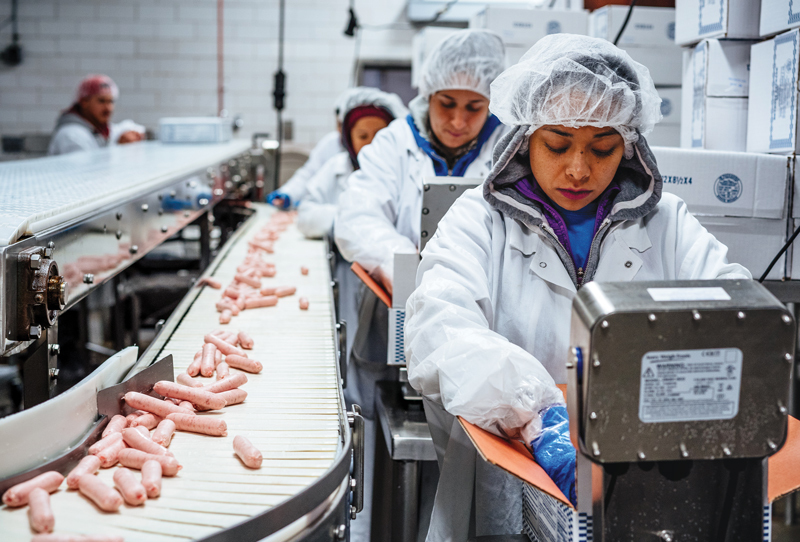 Competition in the meat business is steep, and the family likes to keep their local clients confidential — although, according to Peters, if you’ve eaten breakfast at a local Coney Island eatery, you’ve probably had his family’s product. Anthony, along with brothers Phillip Jr. and Charlie, grew the business into what it is today. In 1998, Anthony purchased LKL Packing (also in Eastern Market) and Smith Meat Packing, located in Port Huron. Today, the three companies operate in four buildings that, combined, make up almost 70,000 square feet of space and generate annual sales of $40 million. Anthony is still president of Detroit Sausage Co., but brothers Philip Jr. and Charlie are running things, while Phil and his sister Rachel handle the day-to-day operations at LKL Packing, and son, Anthony Jr., is learning the business and preparing to run things at Smith Meat Packing.